SEATTLE — And to think, in all these years we've been complaining about Californians moving here, we completely let Alaskans off the hook. "Sure a lot of people from California move up here," he said in an email, "but it's a state of 40 million. Are they really coming here in disproportionate numbers to other states when you consider the size of the population?" It's a good question, so I did the math. In 2016, the DOL issued about 68,000 Washington driver's licenses to people who moved here from another state or the District of Columbia. And there are roughly 244 million people, aged 18 and older, living in the U.S. (not including Washington). That pencils out to 28 new King County residents for every 100,000 U.S. adults last year. Of course, that's the average for the whole country — some states were higher, some lower. As for the Golden State? It sent us 54 per 100,000 adult population, which is about twice the national average. So yes, Californians do move to King County in disproportionately high numbers, even when you consider how heavily populated that state is. But the real story here is Alaska. While DOL records show just over 1,000 Alaskans moved to King County last year, the state has an adult population of only about 550,000. That means that Alaskans move to the Seattle area at the highest rate in the nation, 182 for every 100,000 adults. That's more than three times higher than California, which ranks only 8th. Oregon edged out Hawaii for the No. 2 spot, at 103 per 100,000 — a very distant second to Alaska. "That's awesome," Mila Lassuy said when I told her the news, seeming only slightly surprised. Lassuy, a native of Anchorage, settled into an apartment in Seattle's Beacon Hill neighborhood nine months ago. She says she runs into Alaskans here all the time. In fact, she finds herself seeking them out. "Like, I'll see somebody wearing a specific kind of boot that's very popular in Alaska, and I'll just go up to them — 'Are you from Alaska?' If they say yes, then we'll have a nice conversation." Lassuy says it's typical for Alaskans away from home to feel this common bond. "Alaskan pride is a real thing," she said. "We all talk a lot about how much we miss Alaska." But even if she talks about missing home, she has no plans to return. After finishing college, Lassuy decided to look for work in Seattle and made the move after landing a job at a public-relations firm here. She says she loves living in Seattle. When I asked her what prompted the move, I expected she'd say something about escaping the cold weather. But no, you get used to the dark and the snow if you're from Alaska, she says — and anyway, Seattle winters are pretty dreary in their own right. But Lassuy says it's a lot of fun living in Seattle, and it doesn't feel quite so isolated. "It's more of a city; there's just more to do here. And it's more connected. You can drive to other states from here. When you live in Alaska, you have to fly through Seattle to get anywhere." What is it about this area that draws so many Alaskans who decide to leave home? Is it just a matter of physical proximity? 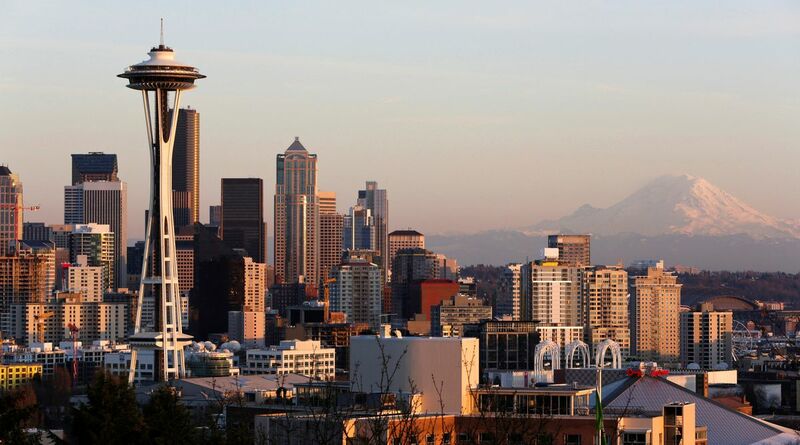 Seattle is the closest major U.S. city. That plays a role, Lassuy thinks, but she says that it's also an easy transition for Alaskans: "Carhartts and flannel — that whole Pacific Northwest feel. The culture is so similar." 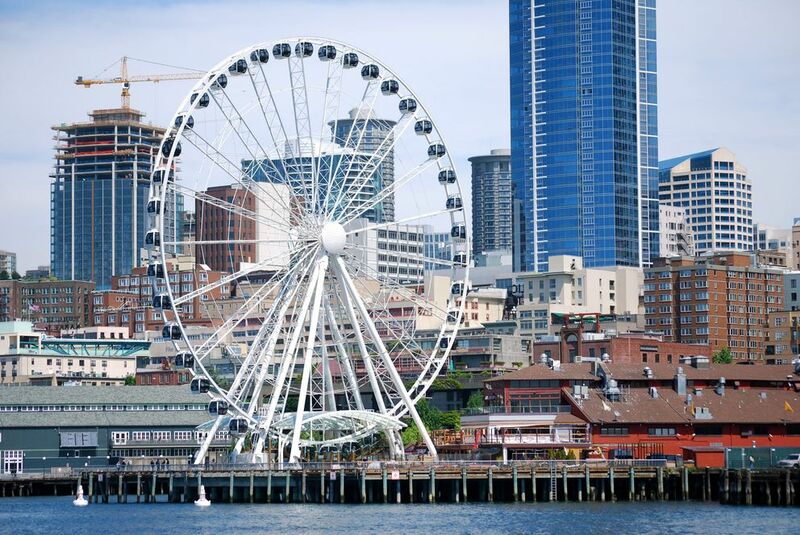 Add to that the natural beauty of Seattle's setting, reminiscent of her hometown. "We're so lucky in Alaska to have the presence of the ocean and the mountains right there, all the time. And Seattle has them both together, too," she said. "Sure, they're smaller mountains, but they're still mountains."